Normally, when you get a low cost scope, you don’t expect to use it for anything more complicated than putting a few shots down range. The fact is that most budget scopes in the market right now simply aren’t designed for professional hunters – they’re more suitable for beginners who’d rather get their hands dirty on a cheap product before moving on to more advanced options. In a market this unsuitable for pros bound by a tight budget, the Leupold VX-1 is a breath of fresh air: it provides a combination of quality, reliability and economy that is downright rare. Given its features, I was compelled to do a Leupold VX 1 review and discuss what it brings to the table, so you could see for yourself why it is one of the most popular budget hunting scopes around. The Leupold VX-1 brand has evolved over the years: it started out as the VX-I, a run-of-the-mill, entry level scope. Ever since Leupold acquired Redfield though, the scope has been augmented with features that bring it closer to its costlier siblings in terms of functionality. Even though its price has stayed in the budget scope slot, it now incorporates quality glass, Multicoat 4 lenses, a highly functional eyebox, and a sturdy form factor backed by a rock solid warranty. The VX-1 is available in four different variants based on zoom range and objective lens diameter: 2-7x33mm; 3-9x40mm; 3-9x50mm; 4-12x40mm. 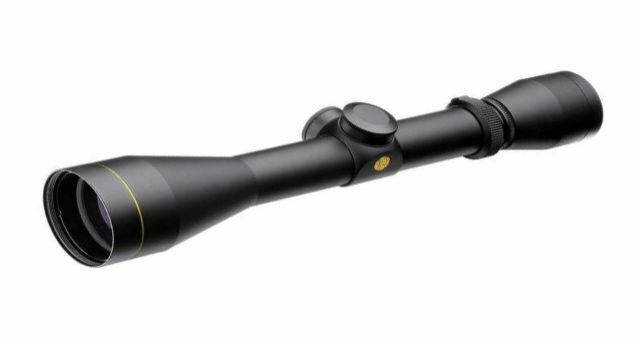 I’m going with the 3-9x40mm option for this review, since it provides the best magnification / objective diameter / price combination of the four. Excellent optical performance thanks to Quantum Optical System and spacious eyebox. Choose between two different reticles. Designed to work with all sorts of hunting rifles. 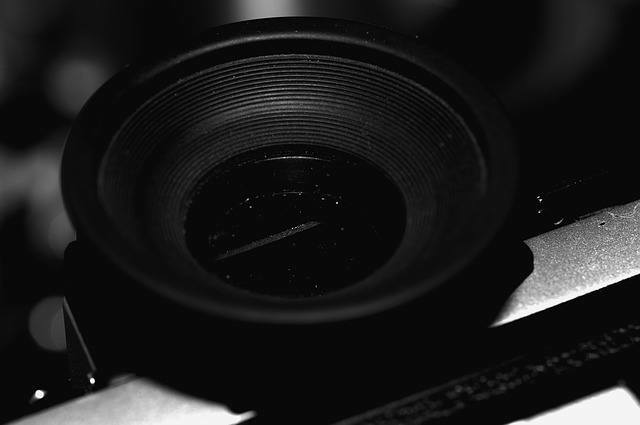 Effective quick focus eyepiece with surprisingly large eye relief. Magnification isn’t suitable for long range shots. The VX-1 utilizes Leupold’s Quantum Optical System that employs lead-free glass and Multicoat 4 lens coatings to yield as much as 92% light transmission. This means you get a crisp, clear and bright view of the field, even in comparatively dim light, making it easier for you to identify targets camouflaged in foliage. 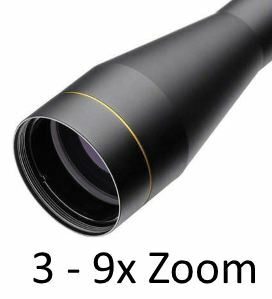 The 3-9x zoom is perfectly suitable for short to medium range encounters that a hunter / marksman would expect on a regular hunt. Combined with the considerably generous eyebox, you should have no trouble sighting in your target, whether it is big game like deer or small game like rabbits. While the eyebox does ensure faster target acquisition and a clearer picture at all magnification levels, you should bear in mind that this isn’t a quick-fire product: it is designed for steady competition shooting down range, or for hunting situations where patience can be afforded. The 3-9x40mm bears the manufacturer’s classic fast focus mechanism with an unobtrusive locking ring to let you effortlessly focus on targets. The scope offers 56 MOAs each of windage and elevation adjustment, in ¼ MOA finger clicks. The adjustment system is quite ordinary, but it does provide decent repeatability over the entire lifetime of the product. 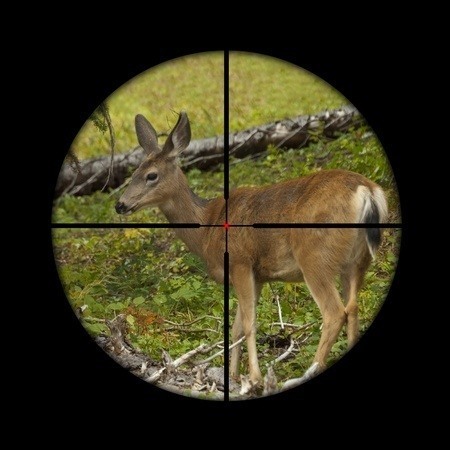 The scope has been made to be compatible with most common hunting calibers e.g. the .308, .270 and the .223, as well as other AR-15 staples. The manufacturer provides their own rings and base to make the scope fit perfectly with any kind of firearm for hunting applications. The VX-1 3-9x40mm is available in three different reticle / color finish combinations: the duplex / gloss; the duplex / matte; and the LR duplex / matte. Personally, I’d advise you to stick with the duplex / matte combination unless you plan to do long range hunting that’s going to require holdover estimation (in which case, go for the LR duplex / matte combo) – the duplex / matte is the cheapest combination being offered, and suits the vast majority of traditional hunters pretty well. As a matter of interest, the invention of the original duplex reticle is attributed to Leupold as well! It would’ve been great if the scope had offered a mil-dot reticle to cater to those with more tactical tastes, but perhaps that wasn’t achievable for the manufacturer at this low a cost. The scope’s 1 inch main tube is made out of aircraft grade aluminum, resulting in a lightweight yet robust body, that is nitrogen filled and guaranteed to be waterproof. 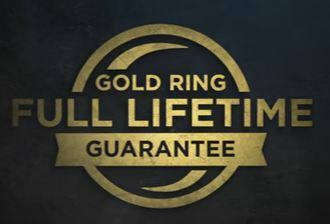 Leupold’s products, from the lowest to the highest tier, have an established reputation for uncompromising performance and quality, what sets them even further apart from the competition is their Gold Ring Full Lifetime Guarantee under which the manufacturer promises to repair / replace any of their products that fails to match its description in any way. The warranty is indefinite and fully transferable – basically, you’ve got a problem with your VX-1 scope at any point during its lifetime, the manufacturer will make it a priority to fix it. This indicates a degree of confidence in their wares that few competitors can match. If you feel that the reticle options offered by the VX-1 are a bit limited, you may want to take a look at the slightly more expensive VX-2 3-9x40mm, which offers additional options such as wide duplex, Leupold dot and German #4 reticles. Plus, the VX-2 enhances image quality even further by using index matched lenses with blackened edges for optimal resolution, brightness and contrast. In other words, for a few dollars extra, you’ll be moving up a tier, with improved performance and greater customization options. In summation, the most likeable thing about the Leupold VX-1 3-9x40mm is its translucent approach towards features and functionality: the manufacturer doesn’t try to mislead customers with fancy technical jargon. Their aim is to impress through more tangible means: reliable optics and field performance, excellent build quality, a healthy dose of customizability, and an iron-clad warranty. Having gone through this review, I’m confident that you’ll agree that the scope is indeed extremely impressive for its low price. Have a look at the duplex variant here, and see what other owners have to say about it.